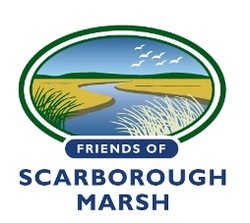 The Friends of Scarborough Marsh is a nonprofit coalition of concerned citizens, landowners, businesses, state and federal agencies, environmental organizations, and others. We have in common our love for the Scarborough Marsh and our commitment to safeguard it for generations to come. Established in 2000, we are an all-volunteer group dedicated to the conservation, protection, restoration, and enhancement of the Scarborough Marsh. Our efforts include: reports and studies to understand challenges and potential for restoration; land conservation initiatives; education and public outreach events like clean-ups. We invite you to join us. You can help! Scarborough Marsh Wildlife Management Area is a 3,200-acre saltwater marsh in southern Maine. It is the state's largest salt marsh. We are currently seeking new board members. Contact us to learn more! Our founders: C.D. Armstrong (President), Richard B. Anderson, Kathleen Bayley, Phil Bozenhard, Stephanie Cox, Ann Delehanty, Mike Mallar, Roger Mallar, Laurene Sedgeley. Former board members include: Susan Auglis, Ro Bloom, Lynne Cleary, Katie Fellows, Scott Gorneau, Matt Howe, Scott Lindsay, Dave Maass, Rick Murphy, Noah Perlut, George Spatoulas, Richard Sullivan, Bruce Thurlow, Susan Dewitt Wilder, Doug Williams, Lois Winter.